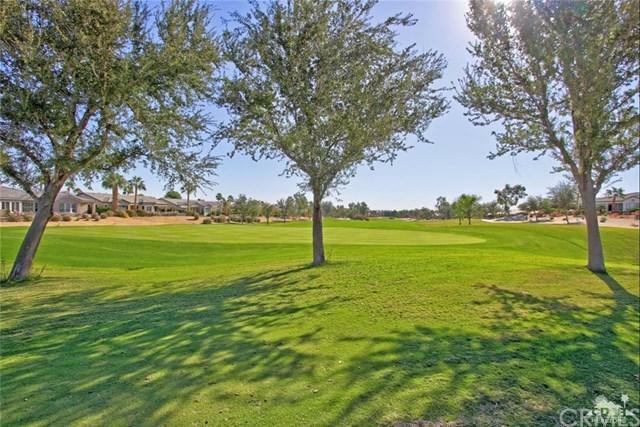 Welcome to Trilogy...The ultimate 55 plus adult active community offering upscale homes, world class amenities, full service spa, state of the art club house and a 18 hole golf course situated along the beautiful Santa Rosa mountains. 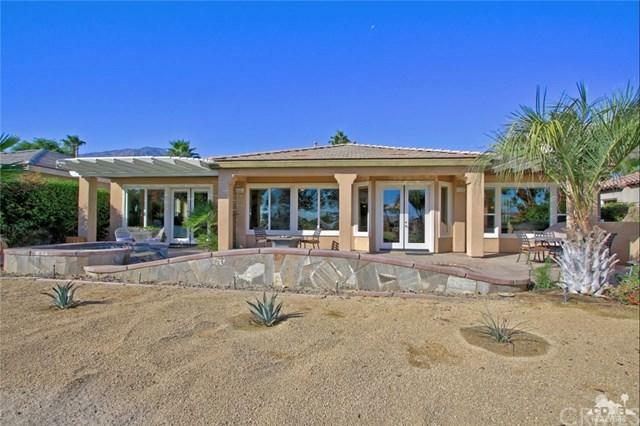 This highly desirable Juniper model features an open floor plan, expanded formal dining area - perfect for entertaining. Additional features include custom paint, tiled flooring, recessed lighting, ceiling fans, silhouette blinds throughout, den, full wet bar w/wine cooler and cabinets to name a few. The chef's gourmet kitchen will impress and includes custom built-in GE Monogram SS appliances, large island w/seating, granite countertops and tons of cabinet space. 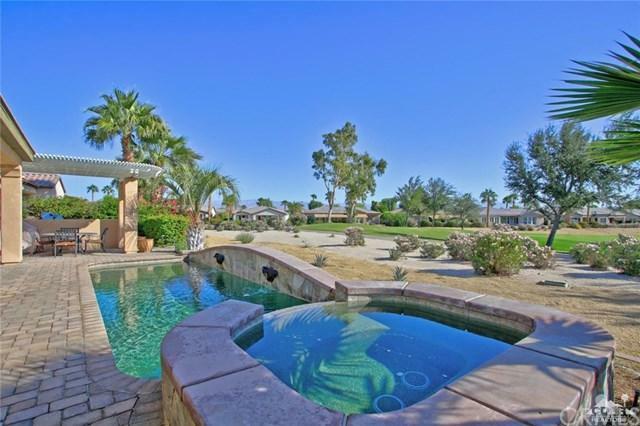 Outdoors you'll find more custom upgrades such as custom stone pavers in the front and back, mature landscaping, patio cover, fire pit and a wonderful salt water Pool/Spa with tanning shelf all situated on a premium one of a kind lot featuring panoramic views overlooking the No. 7 fairway. Exclusions Basic Personal items Not included. Inclusions Sold Turnkey Furnished As Shown.